W Wen & Co. provides tax advice regarding to foreign source income and help clients to liaise with the Tax Office. Recently the ATO issued a tax alert TA2012/1 in relation to foreign source income by Australian tax residents. 3. The foreign source income is received in Australia or accumulated offshore. 4. The taxpayer does not correctly disclose their interest and/or involvement in deriving foreign source income and does not pay Australian tax on this income. d. accessing funds in an offshore bank account through the use of debit or credit cards by the taxpayer in Australia or elsewhere. 6. In some instances, another entity (for example, a promoter) may act on behalf of the taxpayer who is a beneficiary of an offshore structure or investment, to conceal the true control of the entity or the beneficial interest in the income or assets. 7. In some arrangements, documentation supporting the above transactions is absent, incomplete or falsified. 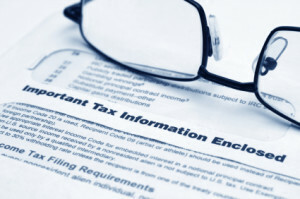 (h) any taxation statements made in relation to the arrangement may be false or misleading. W Wen & Co. provides tax advice regarding foreign source income and helps clients to liaise with the Tax Office.